A recent research shows that a whopping 94% of all businesses have seen a return on their IoT investments. IIoT is destined for growth across versatile domains, however it raises significant challenges that could limit the utilization of its true potential benefits. Connecting things, systems, sensors, wearables and devices have brought us closer to a connected world. As we move towards a more connected world, the biggest challenge that remains is that of connectivity. Along with the value it adds, connectivity also brings in complexity. For many engineers, the greatest challenge in designing for the Internet of Things (IoT) is connectivity. Implementing robust and secure access to the Internet or Wide Area Network (WAN) is outside their range of experience. To make design even more difficult, developers need to support access to multiple devices that are limited in their processing capability. Connectivity must also be added in a way that does not adversely impact overall system cost or power efficiency. There are design concerns when connecting complex IoT devices in a network or with a system. Different types of devices support varied interfaces and protocols. The design should not turn complex or expensive, in an attempt to overcome these challenges. To collect and aggregate data from a disparate set of nodes requires a means for bridging devices with a range of processing capabilities and interfaces together in a consistent and reliable way.An effective way for untangling and processing of the networking of ‘things’ – Gateways! Gateways perform this as they support the several ways nodes natively connect, whether this is a ranging voltage from a raw sensor, a stream of data over I2C from an encoder, or periodic updates from a machine via Bluetooth. Gateways are a productive way to analyse the diversity of devices by combining information from contrasting sources and interfaces in turn bridging them to the Internet. Hence, the individual nodes will not have to carry the ramifications or cost of a high- speed Internet interface in order to be connected. Scalability is Paramount. Your IoT ecosystem should be capable of expanding as your business grows. This needs to be done, without disturbing the existing system and preventing system downtime. Instead of reinventing the entire system, the initial designs should be such that it leaves room for seamless scalability. Performance is another aspect that gets affected by the growth of business. Your IoT system, should be powerful enough to weigh weigh the load of excessive data and if it’s not, there should be provision to configure and improve the performance capability of the system as you go along. Performance Enhancement and scalability at any of these desired level should be obtainable by the IoT ecosystem. However, predicting the scale and performance of such systems can go wrong and may bring about limitations. If an IoT Sense is a part of the ecosystem, scaling and performance enhancement will be a simplified task. The technology that IoT connects is permeant in businesses. One poorly secured IoT device can expose crucial data to theft and act as an entry point for cyber-attacks. A counter scenario is the device holding threat to the internet and other systems creating an overall unsecure environment. As users of the Internet, we need to have a high degree of trust that the Internet, its applications, and the devices linked to it are secure enough, to do the kinds of activities we want to do online in relation to the risk tolerance associated with those activities. The Internet of Things is no different in this respect, and security in IoT is fundamentally linked to the ability of users to trust their environment. An IoT Device manufacturer is faced with many challenges right from the design of the device. Incorporating security standards and compliance at this stage is an aspect ignored due to competitive costs and technical constraints. As the number of IoT devices keep on increasing, the possibilities of vulnerability increases too. In the hyper connected world where everything, right from your heart rate to the traffic signal to the industrial boilers are connected to the internet, security should be of utmost importance and should be considered a critical issue. 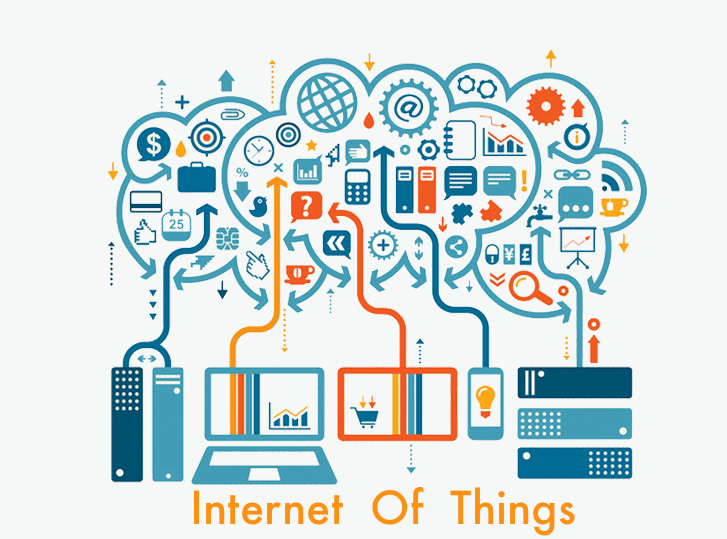 IoT devices are developed and deployed at an ever growing rate today. The existing tools methods and strategies of IoT Security should be closely refined. The key designs, protocol or manufacturing characteristics of similar IoT devices, can generate a relay effect on the failure of a single security aspect. Technology changes drastically every 5 years, it’s thus required that we keep evolving and upgrading the products too. Unlike traditional systems, which have frequent OS updates, IoT is still fragile in terms of updates and enhancement post deployment. Ensuring long-term support and managing IoT devices is an important factor. The complex working of IoT is something that not many users understand. Most of them are oblivion to the functions their IoT device is performing or pertaining to perform. A small function unknowingly updated by the manufacturer can lead to some intensive business damages. More visibility to the user can avert such blunders. As mentioned earlier, it is estimated that 50 billion devices will be connected by 2020. This proliferation poses new privacy and security risks that must be assessed. As the connection between things increase the organizations are exposed to significant risks of malicious attacks, data theft, thing bots and data breach. The exposed records can leak critical information, incurring huge losses to the businesses. Apart from this, the data is also available with the IoT service / device owner. The user of the services can be oblivious to the type and details of the data that is being sent to these third parties. This violates the basic Privacy rights and expectations of an individual or businesses. It’s critical to address the privacy problems as there is a high degree of trust factor at stake. A way to deal with this can by introducing privacy-by-design. This will give rise to privacy-respecting products and practices. There should be more transparency to the user in terms of what data is being collected by the IoT devices and how much information is shared with a third party. There has to be fairness in data collection and usage, an agreement between the vendors, third parties and business owner can be reached to ensure fair usage. Also there has to be a level of customization, as the privacy expectations, norms and laws for different businesses, individual and countries are different. These challenges go beyond the current data privacy issues as it is ever evolving. A Gateway comes to rescue by offering control, and clarity. A business owner can rightfully control the flow of information and data that’s confidential to the company. Strategies can be developed and integrated to meet a broad spectrum of expectations and requirements. Interoperability facilitates the ability to choose devices with the best features at the best price and integrate them to make them work together. Purchasers may be hesitant to buy IoT products and services if there is integration inflexibility, high ownership complexity, and concern over vendor lock-in, or fear of obsolescence due to changing standards. Not efficiently being able to test API’s using common approaches and mechanisms. Unsuccessful to push and pull information from devices using the same interfaces. The inability to monitor and manage devices using a common management and monitoring layer. According to a report “Interoperability is required to unlock more than $4 trillion per year in potential economic impact for IoT use in 2025, out of a total impact of $11.1 trillion across the nine settings that McKinsey analysed”. Interoperability leads to freedom of innovation.The importance of interoperability and standards have increased with the development of the Internet of Things (IoT). Organizations developing Standards have done a great deal of work to standardize protocols in order to simplify implementation and lower the cost of IoT products. As a result, new protocols were developed and existing protocols were redefined in new ways with lightweight profiles. Some manufacturer can choose to create a closed ecosystem there by eliminating the compatibility with other components from opponent vendors. On the other hand, some manufacturers see this as an opportunity of collaboration and provided protocols that help quick and easy adoption. These factors are considered while implementing standards. It won’t be logical and economical for the manufacturer to design interoperability features into a product and test it. However, for long term products, talking about Industrial IoT (IIoT), compliance with standards leads to life-cycle gains. When legacy systems are Connected with new IoT devices, achieving inter-operatabilty is a big challenge as in order to maintain compatibility with legacy systems, IoT engineers are faced with design trade-offs. When managing a large number of IoT devices the configuration process tends to get lengthy and complex. To simplify and ease the process the systems should be built with a thoughtful design, standardized configuration tools, methods and interface.Ensuring that the above factors are taken into consideration by each and every IoT engineer is a tricky task. However, introducing a component like a Gateway, which complies with all the interoperability standards is the way forward.In a fully interoperable environment any IoT device would be able to connect to any other device or system and exchange information as desired. Invariable of various challenges, the non-stop revolution in the world of IoT will let you deploy and use IoT solution which is just tailor made according to your specific requirement.